Get outdoors at Floriade and Wee Jasper Reserves. 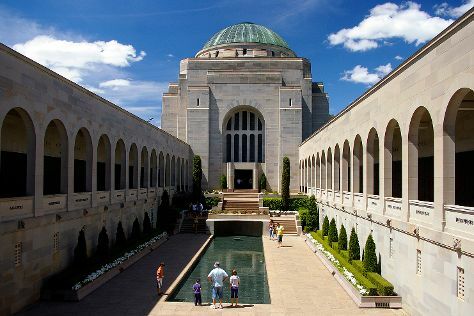 Appreciate the collections at Australian War Memorial and National Portrait Gallery. Change things up with these side-trips from Canberra: Murrumbateman (Four Winds Vineyard & Clonakilla). There's much more to do: contemplate the waterfront views at Lake Burley Griffin, enjoy breathtaking views from Telstra Tower, explore the world behind art at National Gallery of Australia, and get curious at Questacon. To see where to stay, ratings, and more tourist information, refer to the Canberra trip itinerary maker tool . If you are flying in from Singapore, the closest major airport is Canberra International Airport. In November, daily temperatures in Canberra can reach 28°C, while at night they dip to 10°C. Finish your sightseeing early on the 13th (Tue) so you can travel back home.